The Best Travel Nursing blogs from thousands Travel Nursing blogs in our index using search and social metrics. Data will be refreshed once a week. If your blog is selected in this list, you have the honour of displaying this Badge (Award) on your blog. Travel Nursing newsletter is a comprehensive summary of the day's most important blog posts and news articles from the best Travel Nursing websites on the web, and delivered to your email inbox each morning. To subscribe, simply provide us with your email address. About Blog Travelnursing.org is dedicated to getting nurses into travelling positions that they love. Frequency about 3 posts per month. Facebook fans 107,707. Twitter followers 1,896. Lancaster, pa About Blog Observations about travel nursing and nursing shortage issues. Frequency about 3 posts per week. Facebook fans 37,300. Twitter followers 9,136. Florida About Blog Their mission is to lead the travel nurse industry while enriching healthcare. They are committed to quality through our people and service. They believe in the individual and tailor business accordingly. Frequency about 1 post per month. Facebook fans 7,056. Twitter followers 1,266. About Blog Share and Exchange All Things Travel Nursing. Frequency about 5 posts per week. Facebook fans 1,061,019. Twitter followers 454,895. About Blog Bluepipes.com is a professional networking site that provides travel nurses with the ability to store all of their necessary paperwork including resumes, skills checklists and certifications digitally on their site. This basically replaces that pesky folder you have to carry around with you everywhere you go. Frequency about 2 posts per month. Facebook fans 2,590. Twitter followers 166. Jacksonville Beach, Florida About Blog There is no better time than the New Year to plan your next travel nursing adventure! If you’re looking for an awesome location to place, Oregon is the state to be! Why pick Oregon in 2017? For starters, Oregon is an easy licensure state for travel nurses. Facebook fans 5,908. Twitter followers 690. About Blog Travel Nursing Central.com is your resource for the travel nurse industry with travel nursing company rankings and reviews, hospital rankings and reviews and the latest travel nursing news. Facebook fans n/a. Twitter followers 208. Orlando, FL About Blog Get advice on traveling or stay up-to-date with the latest industry news on our blog. Facebook fans 2,207. Twitter followers 379. Anywhere, USA About Blog TravelNursingBlogs.com: Travel Nursing Advice combines a nursing jobs site with advice and information in the form of blog posts. While the content is mostly relevant to travel nursing, some posts are about the nursing profession in general. Facebook fans 2,037. Twitter followers 6,128. San Jose, CA About Blog Information on travel nursing jobs for prospective traveling nurses. Facebook fans n/a. Twitter followers 171. Facebook fans 5,592. Twitter followers 232. Quality and consistency of posts. 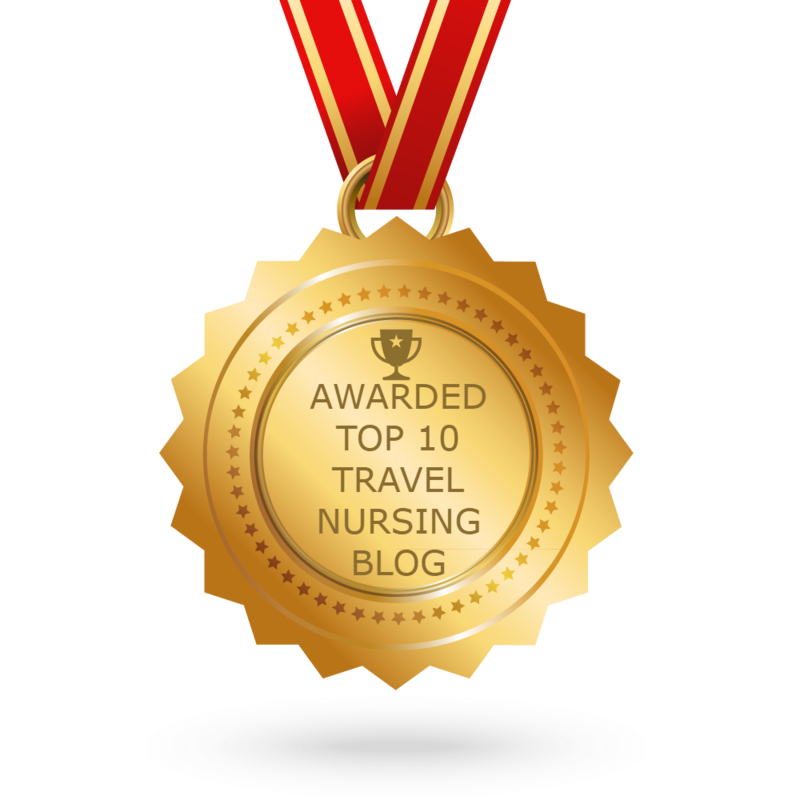 CONGRATULATIONS to every blogger that has made this Top Travel Nursing Blogs list! This is the most comprehensive list of best Travel Nursing blogs on the internet and I’m honoured to have you as part of this! I personally give you a high-five and want to thank you for your contribution to this world. I'm Founder of Feedspot. Feedspot helps you keep track of all your favorite blogs, news sites, youtube channels and rss feeds in one place. It makes checking your favorite sites as easy as checking your emails. Doing blogger outreach or influencer marketing? Email us to learn how Feedspot can help you reach thousands of authority publishers in your domain area.